His views on the back and athletic motion support Classic Golf Swing theory over Modern Golf Swing theory, if what I’ve seen researching his work is any indication! Dr. Stuart M. McGill is a professor emeritus, University of Waterloo, where he was a professor for 32 years. 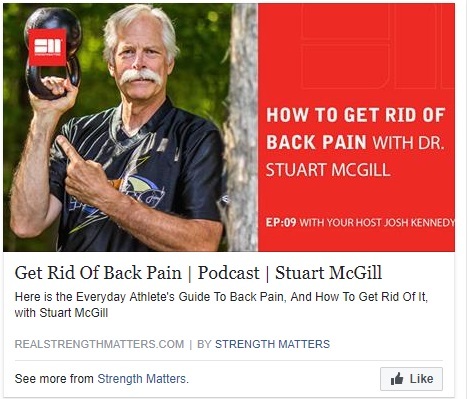 His laboratory and experimental research clinic investigated issues related to the causal mechanisms of back pain, how to rehabilitate back-pained people and enhance both injury resilience and performance. This produced over 240 peer-reviewed scientific journal papers, several textbooks, and many international awards. He mentored over 40 graduate students during this scientific journey. Now, first of all, I have never been to any of the sites connected to Dr. McGill before today, and those of you who have followed my blogging on the golf swing know fully well that I always point out things that others do with which I agree. It was a Kettle Bell, simply because I needed something with weight and already owned a 20 lb Kettle Bell, having purchased it in 2011 or 2012. 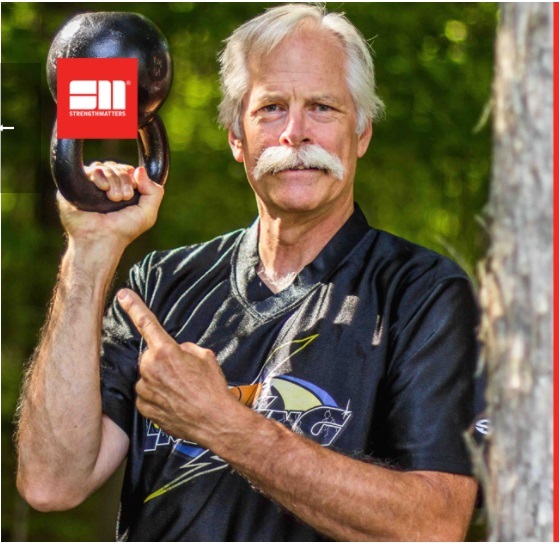 And, as those of you who’ve reserved the upcoming “EMCS2 – The Follow Up” video, you’ll know that I will once again feature the Kettle Bell in the “One Exercise,” the only golf swing exercise you will ever need again to groove your swing and maximize your leverage and power. So, imagine my surprise when I followed a link to BackFitPro’s Facebook page and saw this below! Yup!!! That’s A Kettle Bell!! I was now intrigued by the coincidence, and so I continued, searching for the golf swing video clip that Welshman had asked me to take a look at. He wanted me to determine whether or not Dr. McGill’s views on the golf swing would comport with the MCS (as well as any other Classic Golf Swing) methodology. In the below video, you’ll see Lee swinging, and it is a mechanically-correct “floating heel” pivot with the free and full hip turn along the lines of the Classic Golf Swing methodology. This means, of course, that I am now seeing scientific research proving that the Classic Golf Swing is the proper way to swing, and any research that supports Classic over Modern would of course support MCS Golf Swing theory, as it’s nothing more than my “simplest golf swing model” possible using a proper and mechanically-sound golf swing model. I have just begun looking into Dr. McGill’s work on the back and athletic motion, but I am really liking what I see. But there you have it, my friends! And which premise is that? 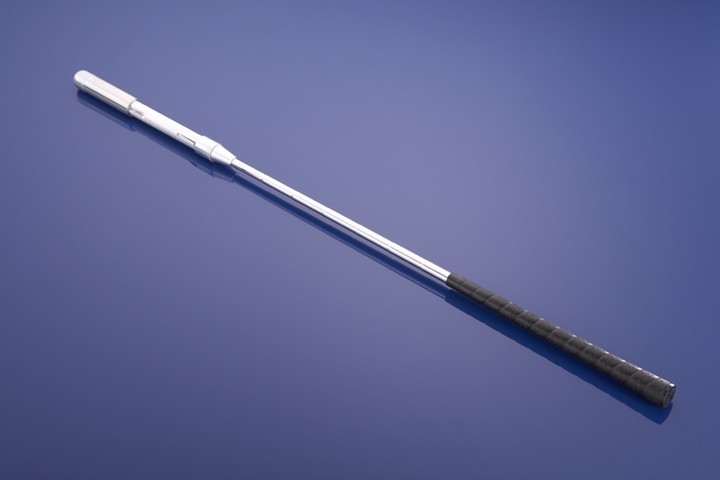 The premise, wherever it arose, that the “perfect” golf swing has a planted leading heel on the back swing, combined with twisting the torso against the restricted hips to create the coil at the top. And so what they are doing, in fact, is studying the best way to swing with a flawed mechanical action (keeping the leading heel planted). They’re studying how best to break your back, in essence. Well, I am delighted to say that, for the first time in my 12 years researching swing mechanics myself, I have found a biomechanics expert who does NOT fall into the classification I provided above! Your swing model appears to me to be a bit more refined from from I see so far from Dr Lee but still digging around. Don’t think anyone will hurt themselves unless the drop the kettle bell on a toe. Hold onto the kettle folks. No early release! Well, I didn’t really intend to compare Lee’s swing with the MCS swing model, Chief – MCS is the theoretically simplest possible Classic Golf Swing model I can see, but Lee’s is still a Classic Golf Swing action and therefore far more mechanically correct than the Modern Golf Swing. It isn’t perfect, but it’s definitely better than any “expert analyst” can point to in the realm of Modern models.